Tips For Staining Your Wood Deck | 41 Lumber - Serving Iron Mountain and the U.P. Take your grill, furniture, etc. off of your deck and get out your pressure washer. Use the washer on the deck to get the extra gunk off. After the deck is bone-dry again, you’ll be ready to stain. Pour the stain you chose into the rolling pan and get out your roller with its extension handle. Now that you have everything ready it’s time to stain, make sure you never have too much stain on the roller. Excess amounts will leave your wood with an uneven finish. Instead, dip only enough for a few strokes and if you do get any extra spots, wipe them with a rag. Let your stain cure for at least 24 hours. 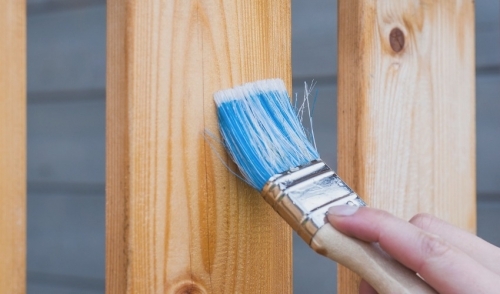 The next day, after the stain has cured, your deck will go back to looking like new again.